We started noticing these showing up everywhere in our home about two weeks ago, but we have no idea what they are. 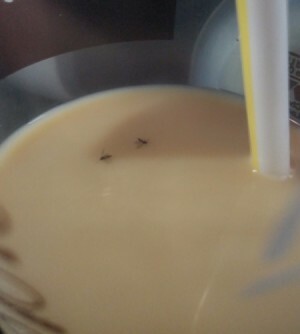 They're very attracted to liquids. I can't leave a drink unattended for 5 minutes before they get into it. They don't bite or anything. They are just very annoying. Every time we kill one we spot two more! Help? You can go to any home center and bring in a dead bug in a plastic bag. Don't crush the bug. I am no expert in this area but I have a friend who has drain flies coming out every time it gets warm. We live in Florida so that pretty much sums that up. However, take one of the dead ones and bring it to a plumber or have a plumber come to you. I love working with plants and have found that mysterious bugs often arrive with soil or plants. 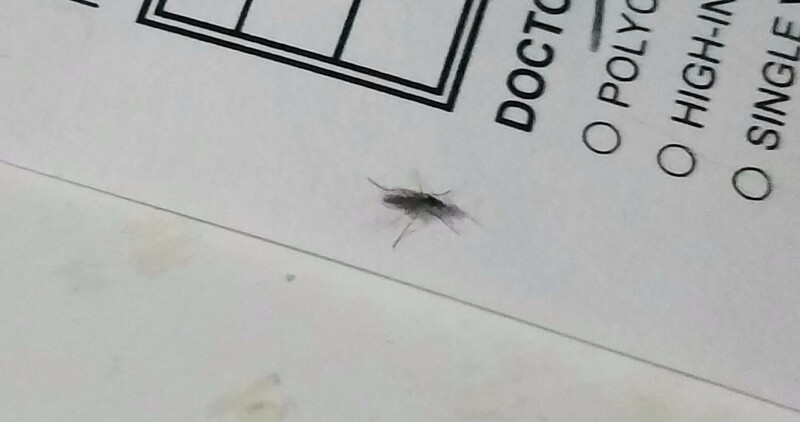 This looks like a Fungus Gnat to me but many bugs are similar and I would recommend that you Google your local Cooperative Extension office with your city or zip code and ask for their help. Adult fungus gnats primarily are a nuisance. They can enter buildings as flying adults and develop indoors through all life stages. They do not bite people or animals and, in the United States, are not known to carry human pathogens. Adults feed very little, consuming only liquids, such as water or flower nectar. Thank you for this! They sure look like Fungus Knats too, but we don't even have house plants. They must of just come from outside somehow. I'll be doing my homework. Thanks again! I hope these are fungus gnats as I have been able to control these with little effort. Fortunately, mine were only in my hot house. It seems these little pests can come in with bags, especially with potatoes, but fortunately they can be easily killed. I have even used the fly trap paper roll that is sold at Walmart and other stores to get rid of them.